The news anchor is the only rose among the thorns in the Sanchez siblings. 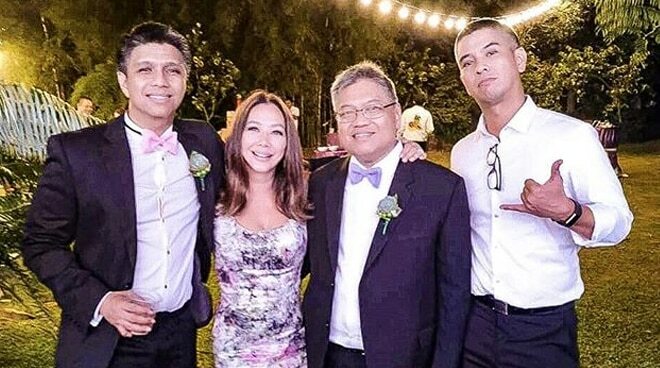 Maintaining a private life, Korina Sanchez is proud to have introduced three of her dear brothers to the world, Milano, E.G., and Mickey, on Instagram, Sunday evening. “I’m the only girl among four brothers. Okay naman si Mar sa kanilang lahat. Haha!,” alluded the news anchor to her husband, Mar Roxas, in jest. The one missing, according to Korina, was Ramon, Jr., whom they lost to leukemia when he was only 19 years old. “In 2004, we lost both our parents, Ramon and Celia. I guess this is why we cherish life and being together,” said the Rated K host. Korina also shared that her brother E.G. has recently underwent a life-threatening surgery that almost hindered him to witness his own firstborn’s wedding just last Saturday. With this, she reminded others to live their life to the fullest while they still have the time. “Life is difficult. But we have miracles every day to keep us believing. Meantime, a reminder: we are on borrowed, short time. No joke about this: live life like it can end anytime. Just keep filling it with love,” she said.